Dr. Kopycka-Kedzierawski has been practicing dentistry for 20 years. She provides comprehensive dental care to patients with a variety of dental needs. She serves as deputy director for the northeast region of the National Dental Practice-Based Research Network. Her research interests include oral disease distribution and control, the study of cavities and their causes, and teledentistry - the use of communications technology for dental care. A native of Poland, Dr. Kopycka-Kedzierawski and her family have been in Rochester for 17 years. She enjoys spending time with her son and husband, traveling, reading and gardening. 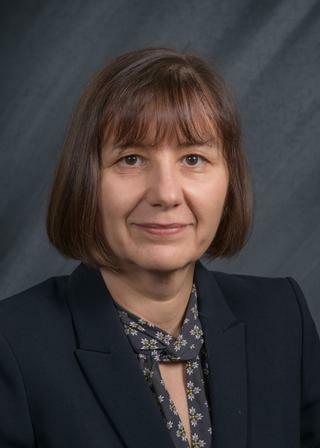 Dr. Dorota Kopycka-Kedzierawski currently serves as a Deputy Director for the Northeast Region of the National Dental Practice-Based Research Network (National Dental PBRN). In the network, she leads a multicenter, prospective, cohort study entitled "Management of Dentin Hypersensitivity". Her research interest include oral epidemiology, teledentistry as an adjunct tool to screen, diagnose and refer young children for oral disease, especially Early Childhood Caries (ECC) and caries risk assessment in children and adults. She directs two graduate courses in Oral Epidemiology that are designed for postgraduate dental residents. Dr. Dorota Kopycka-Kedzierawski currently serves as a Deputy Director for the Northeast Region of the National Dental Practice-Based Research Network (National Dental PBRN). In the network, she just completed a multicenter, prospective, cohort study entitled "Management of Dentin Hypersensitivity". Her research interest include oral epidemiology, teledentistry as an adjunct tool to screen, diagnose and refer young children for oral disease, especially Early Childhood Caries (ECC) and caries risk assessment in children and adults. Currently, she leads a prospective cohort study, funded by NIH/NIDCR, to examine oral biology, behavioral and social mechanisms for ECC onset in young, initially caries-free children. She directs two graduate courses in Oral Epidemiology that are designed for postgraduate dental residents. Julia Melkers; Diana Hicks; Kimberley R Isett; Dorota T. Kopycka-Kedzierawski; Gregg H. Gilbert; Simone Rosenblum; Vanessa Burton; Rahma Mungia; Michael J. Melkers; George Ford. "Preferences for Peer-Reviewed versus Other Publication Sources: A Survey of General Dentists in the National Dental PBRN". Implementation Science 2019, Accepted January 2019. 2019; . Xiao J, Alkhers N, Kopycka-Kedzierawski DT, Billings RJ, Wu TT, Castillo DA, Rasubala L, Malmstrom H, Ren Y, Eliav E. "Prenatal Oral Health Care and Early Childhood Caries Prevention: A Systematic Review and Meta-Analysis." Caries Res. 2019; : 2019 Jan 10:1-11. doi: 10.1159/000495187. [Epub ahead of print]. Kopycka-Kedzierawski, DT; Billings, RJ; Feng, C;. "Development of a prognostic model for caries onset and progression from Early Childhood Caries incidence in urban preschool children". Eur Arch Paediatr Dent. 2018; : Dec 11. doi:10.1007/s40368-018-0404-2. [Epub ahead of print].